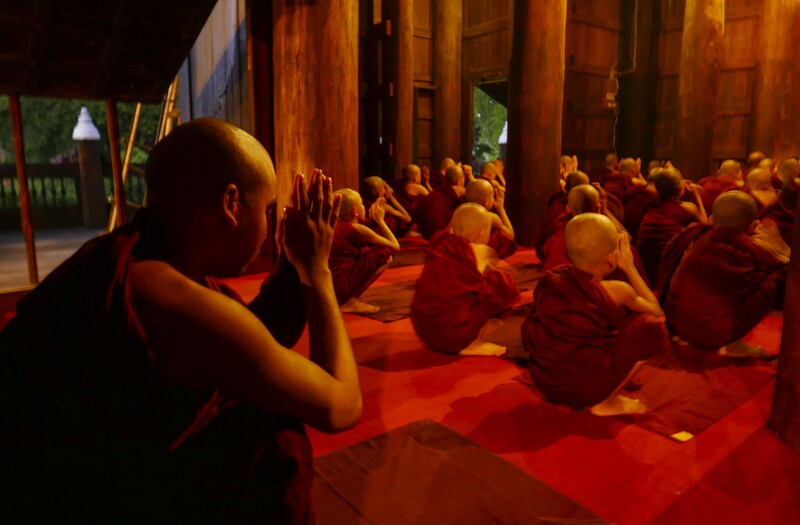 Cultural and religious ceremonies are linked to belief systems, deeper history, anthropology and sense of a place and belonging. 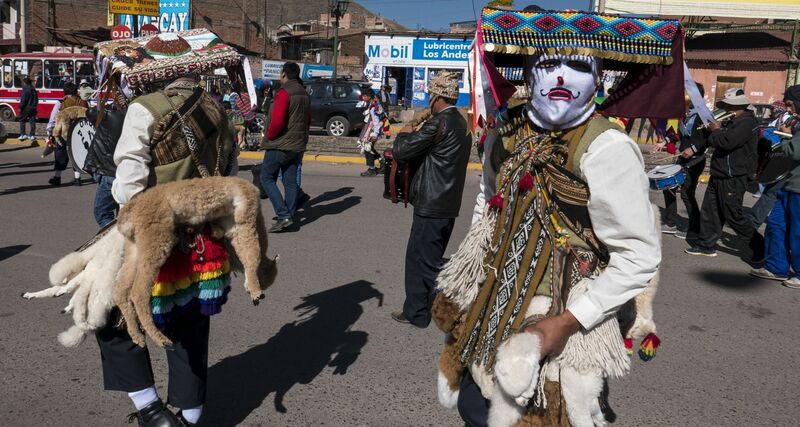 Ceremonies may commemorate myths, legends, learnings, narratives, rituals, folk or religious traditions. 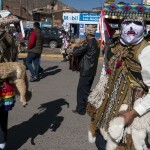 Joseph Campbell believed there is a common element to all mythologies (“elementary ideas”) which are manifest in local cultural expression (“folk ideas”). 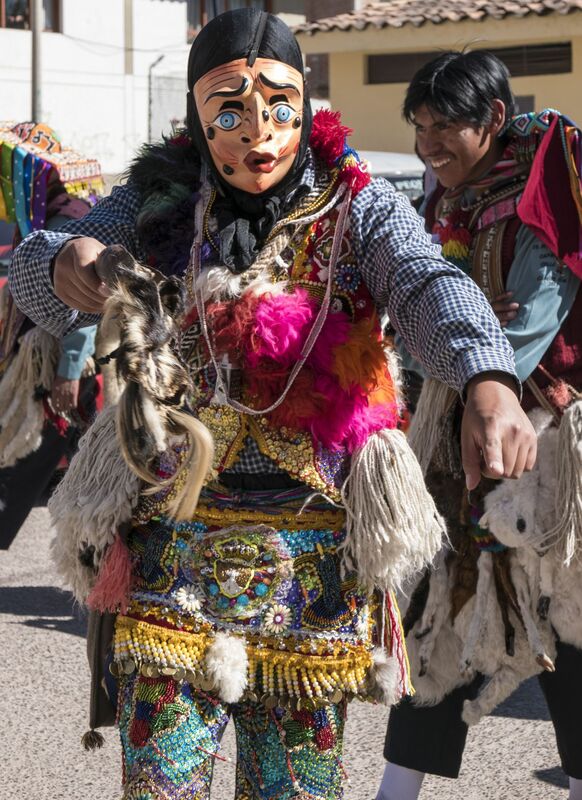 It is informative to observe the cultural commonalities and differences across locations, countries and cultures. 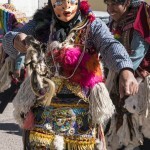 Costumes, music, dance, colour and forms are uniquely presented across different ceremonies and are commonly visually dramatic to photograph. 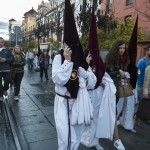 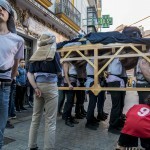 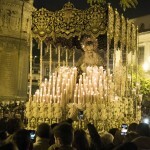 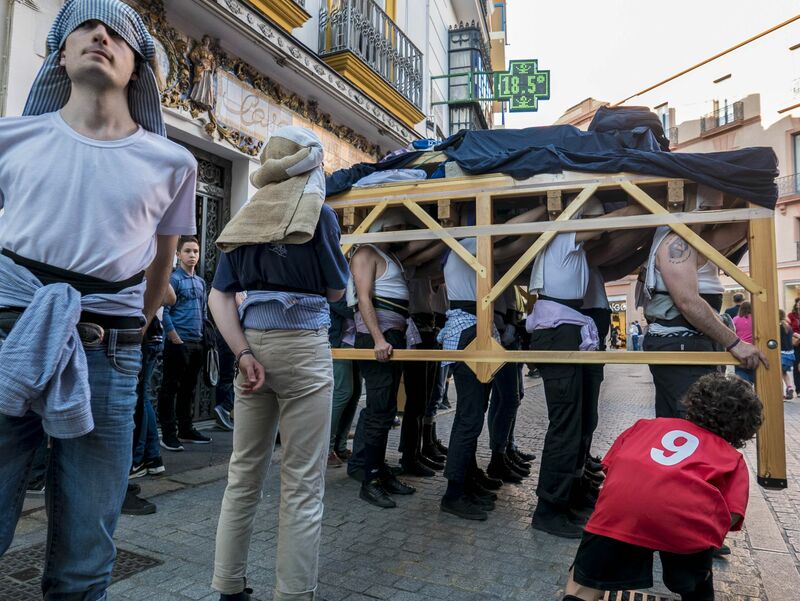 Semana Santa is the celebration of Easter Holy Week in Spain. 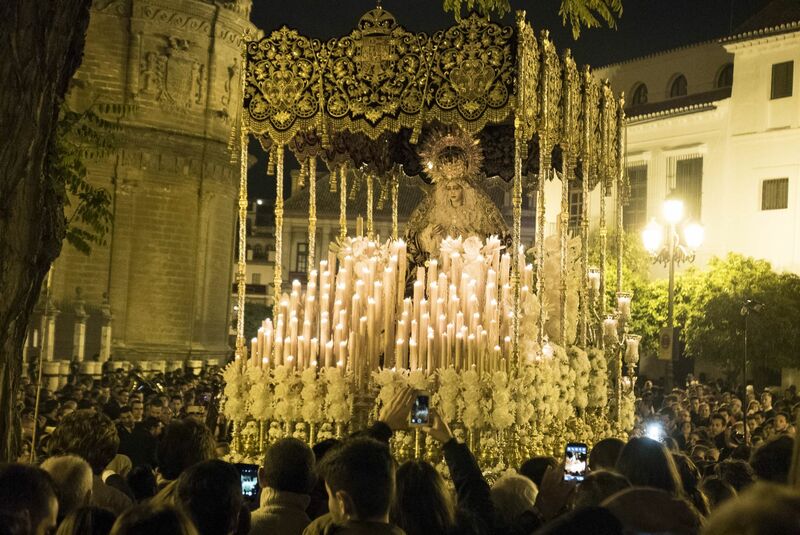 Ancient processions representing the events from Christ’s Passion are led by the more than 50 brotherhoods (hermanadades). 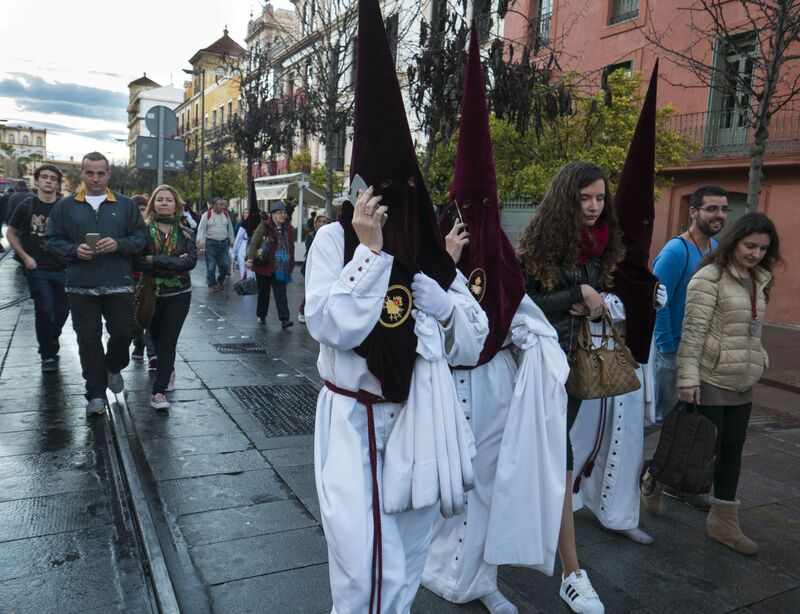 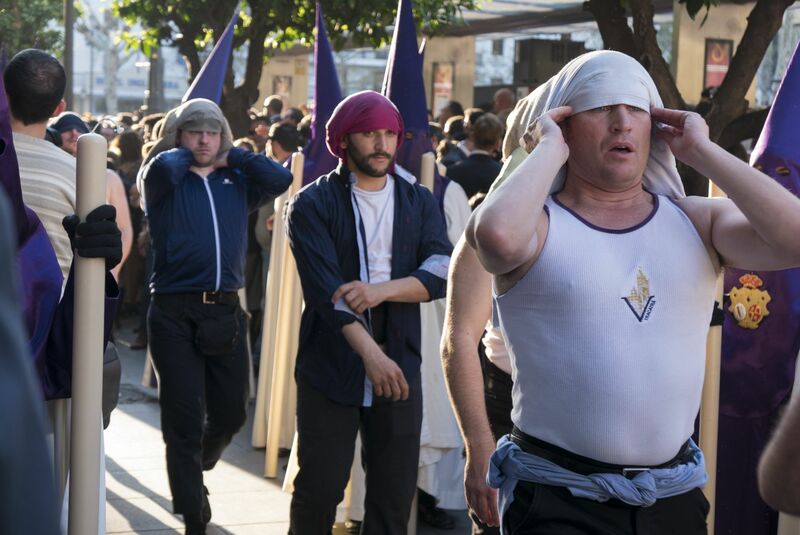 The use of the pointy hoods is from the time of the inquisition, when the convicted used to wear a similar hat decorated with paintings alluding to the crime they had committed. 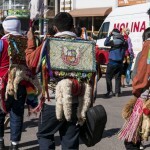 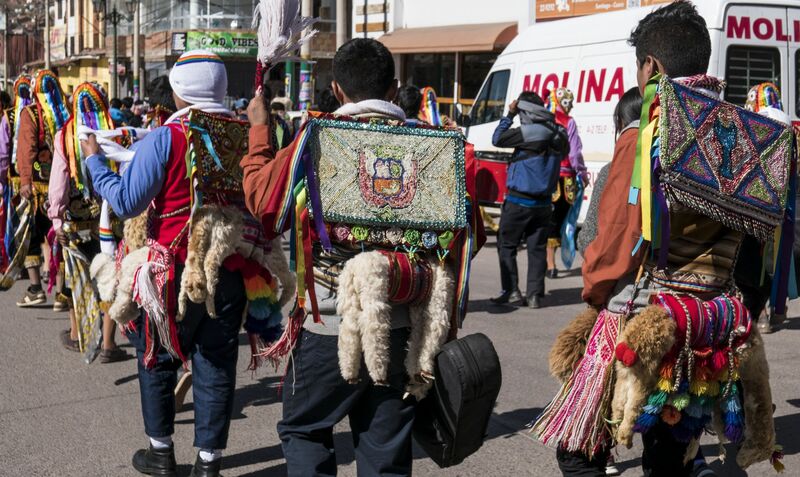 Costaleros [“sack men”] have a unique headdress and carry the religious floats [“pasos”] from inside and it appears as the pasos are walking unaided. 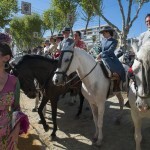 Each paso has between 24 and 48 men. 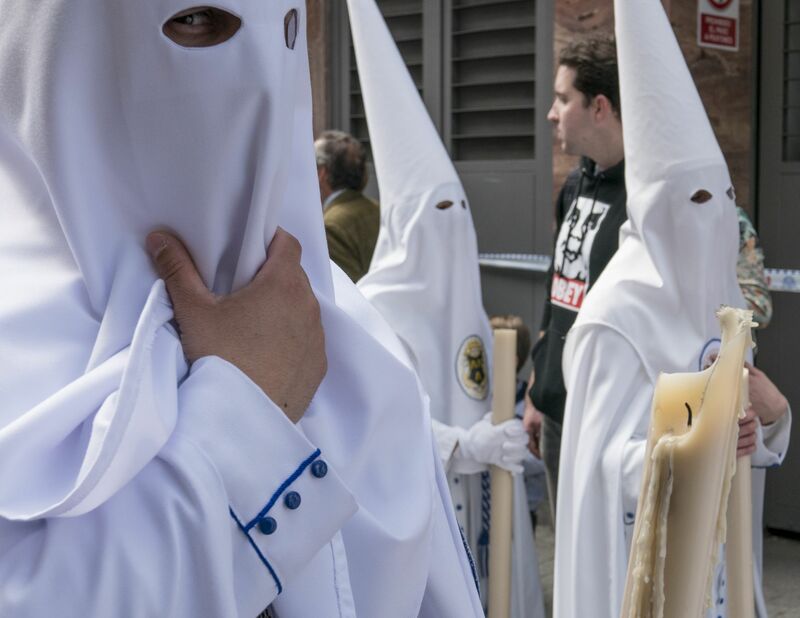 They train year-round to prepare for this ceremony. 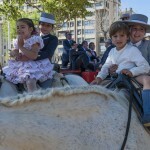 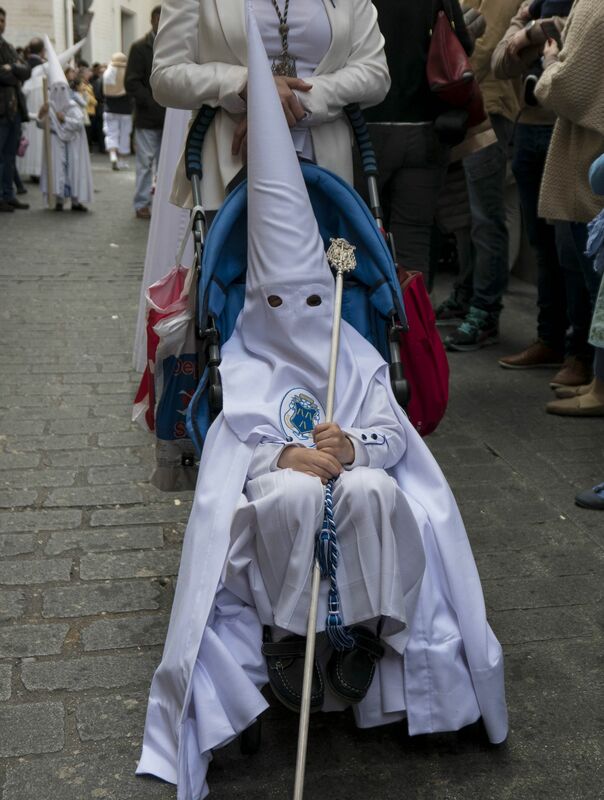 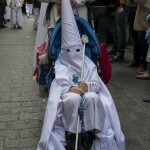 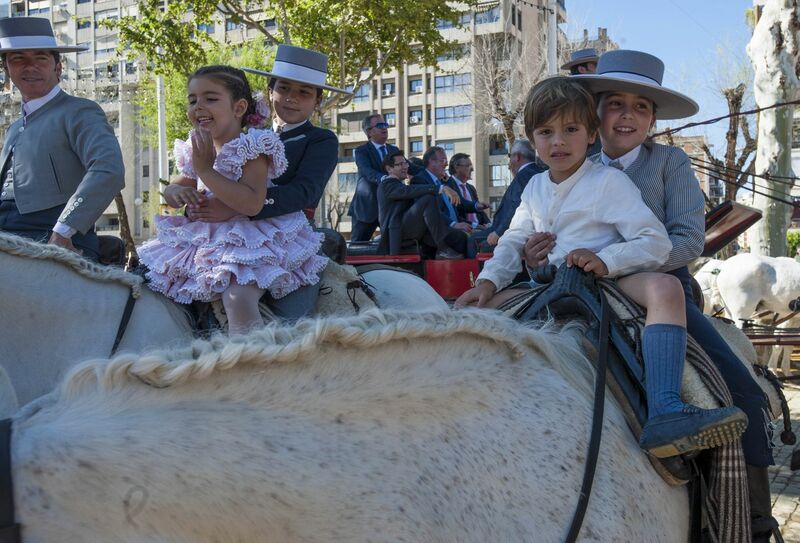 Young children in the crowd were dressed in costaleros costume as a sign of respect. 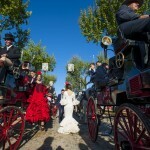 These photos were taken in Sevilla, Spain. 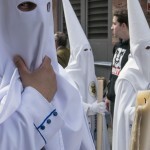 The photograph of the Costaleros training was taken one week after Easter where they immediately started training for the following year. 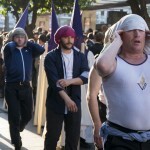 One Costaleros has a large tattoo on his arm of a Costalero. 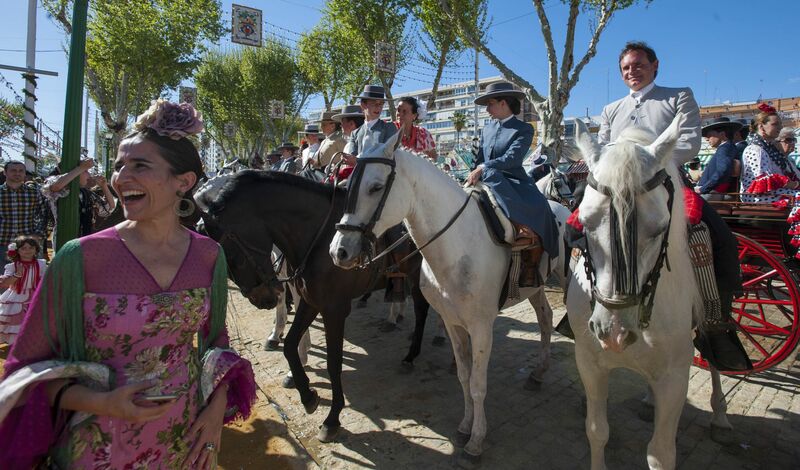 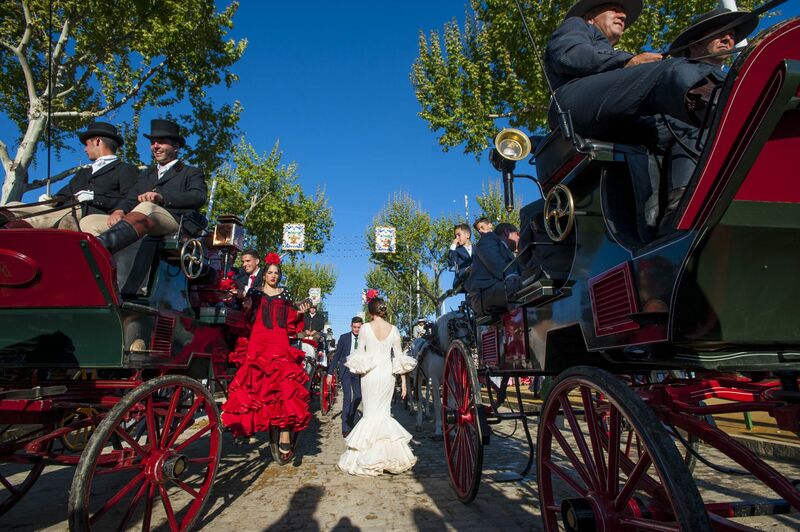 The Feria de abril de Sevilla [Seville April Fair] takes place after Semana Santa and runs for one week.